Award-winning gin makers Warner Edwards will tell you all about gin! Northamptonshire's award-winning Warner Edwards distillery will take you on a journey into the world of gin. They will talk about the history of gin – from how it started to where it is today – and explain the different production methods that make one gin so different from another. 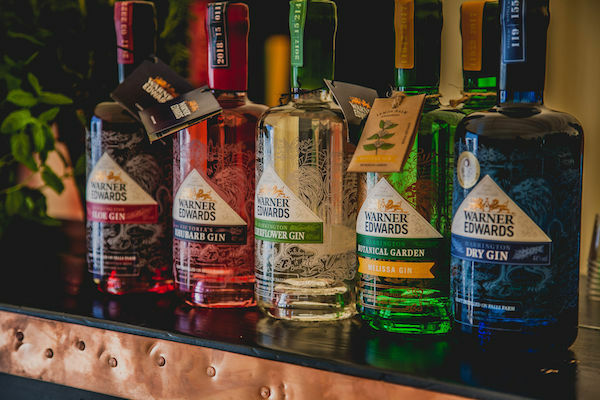 There will be a chance to try some free samples from the Warner Edwards range, which includes their Harrington Dry, Harrington Sloe, Elderflower Infused, Honey and Victoria’s Rhubarb Gins, and learn about how this small, independent Northamptonshire distillery came to be. The gin talks take place in the tasting marquee at 12.30am and 2.30pm on each day and last for 30 minutes. Places are limited to 40 people for each session so please get there early to reserve your seat.